We want to point out some unfounded traditions and superstitions fixed in the minds of many people concerning angelic beings. In the Scriptures, writers refer to angels in the masculine. Simply put, there is no Scriptural evidence of female angels. Keep in mind that angels are sexless beings — they do not marry or inter-marry and have no offspring, but they are nevertheless always referred to as masculine. God created angels at one time, in the beginning, and their numbers have neither increased nor decreased since then. Angels do not multiply, so following that logic, baby angels do not exist. The charming pictures of cute baby angels with sprouting wings we see in works of art and painted on church walls and ceilings and stained glass windows are just that – works of art that have no foundation in the Bible. Why do artists so often present angels with feminine faces when there are no female angels? 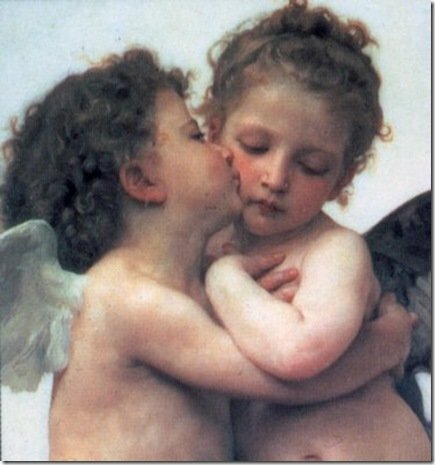 Why do we imagine little winged baby cherubs when they do not even exist? Artists want us to use our imaginations while enjoying their art; if an artist wants to depict an angel as a winged female, then we should accept that as artistic license. The key thing is to enjoy the art and not to split hairs over the question of gender. Neither do the angels generally have wings. No verse in the Bible exists which presents angels as winged creatures. They are said to fly in a few instances, but any reference to wings of angels is lacking. Of course, we think immediately of the Cherubim and the Seraphim which are mentioned a few times in the Bible, especially in the Book of Ezekiel; those called beasts or living creatures in Revelation; or as appearing over the Ark of the Covenant with wings overspreading the Mercy Seat. But we remind you that these are an entirely different order of beings. They are never called angels, and we do not believe that they are angels, but another order of spirit beings for a special purpose and ministry to God. They are called beasts or living creatures, and have a ministry distinct and peculiar, wholly different from the angels. 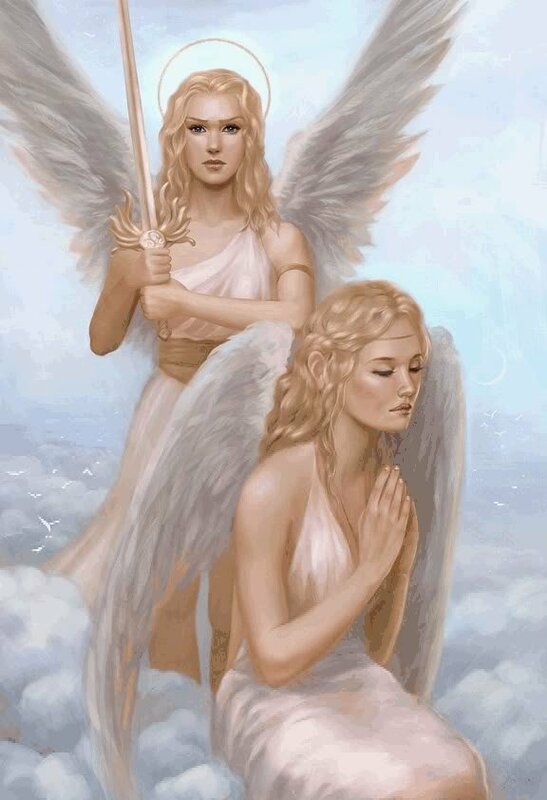 For further study on the different orders and hierarchies of angels, read the page dedicated to it on this website. According to Jesus the greatest among you must be your servant the way he came down and served so when we go to heaven everyone serves everyone. Angels serve us, Jesus served us, so we must be humble and serve everyone from God to angels to all the creatures in heaven to your fellow man and woman. Jesus answered them, Is it not written in your law, I have said said you are gods? Jesus said that we are allowed to be called children of God. Who told you we don’t get wings in heaven, unless you’ve been there and God told you and you came back down to earth again. If God allows me to go to heaven and I ask for wings you think he would say no? So if scripture says we are above angels i think we are allowed wings because all the people i know who want to go to heaven are excited about getting wings. Its a wonderful life and your loving father God in Heaven will not say no if you ask for wings. 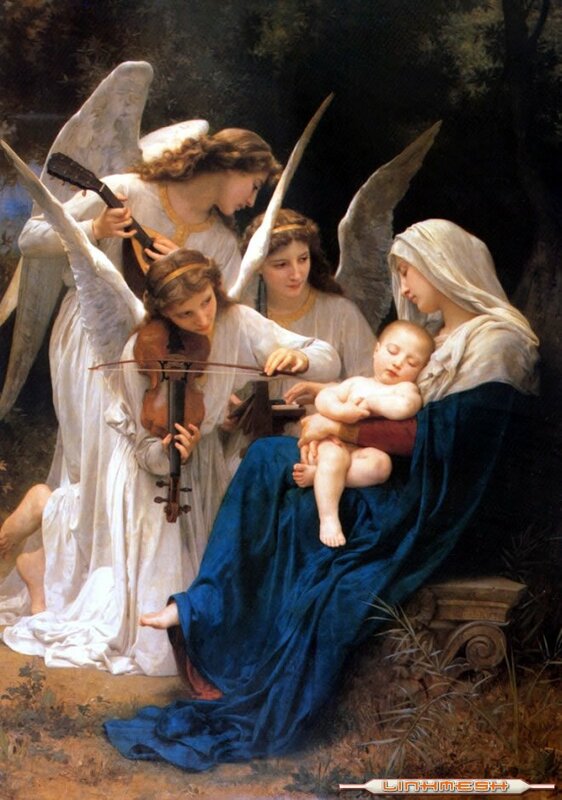 Is Mary the Queen of Angels?